SIGN UP for Silver Membership and Get a FREE Year! Enjoy traveling around the globe on your terms! Choose from exclusive and luxury beach resorts, boutique hotels, ski chalets, golf locations, country houses, city apartments and even game lodges in safari parks for your next home exchange vacation. It's easy to search for your next ideal vacation destination. You can select by country, number of bedrooms or even the type of activities you enjoy most such as golfing, skiing, hiking and walking, fishing, sailing or even scuba diving! You can use the search box above, or for a more advanced search, use the Full Search option. Flexibility is important to us! Members of International Vacation Home Exchange, (IVHE.com) enjoy flexible home swap options via Direct exchanges (simultaneous) and/or Credits exchanges (non-simultaneous). Direct (simultaneous) home exchanges often work best when your property is also your primary residence. When you are ready to travel, you make your home available to another IVHE member. For example, you and your spouse can enjoy Pierre and Valerie’s Paris apartment while they are sightseeing in San Francisco and staying at your townhouse in the city. IVHE members who chose direct swaps enjoy the comfort of another homeowner, just like them, enjoying a wonderful home while on vacation. Credit Exchanges (or non-simultaneous trades), can be an ideal program for owners of second homes. The vacation home swap concept remains ingeniously simple: when an IVHE member stays at your property, you earn credits. You, at your leisure, then use your credits to ‘pay’ for a stay in any other member’s second home, saving thousands in accommodation costs. On average IVHE members save over $400 per night. See how it works. Members enjoy the services of IVHE Travel Coordinators who help organise your trading vacation plans and assist in providing useful information about your vacation exchange destination. Hear what our members say about IVHE and luxury home swaps. New to the whole house exchange and credits concept? Download a Free Guide which will provide you with valuable information, hints and tips. Since, IVHE members have choices in over 70 countries, you can plan your next exclusive exchange vacation while enjoying all the comforts of staying in a luxury house. Facebook Special Offer 1 year FREE Silver Membership, Use Promo Code 'FBFUN' valid until May 15, 2016. Enjoy travel destinations around the world - choose from city apartments, country estates, beach resorts, boutique hotels, ski chalets, golf locations and even game lodges in safari parks for your next home exchange vacation. International Vacation Home Exchange, (ivhe.com) specialises in offering non-simultaneous trades for owners of second homes. The vacation home swap concept remains ingeniously simple: an IVHE member stays at your property, you earn credits. You, at your leisure, then use your credits to ‘pay’ for a stay in any other member’s second home, saving thousands in accommodation costs. See how it works. Members enjoy the services of our Travel Coordinators who help organise your trading vacation homes and assist in providing useful information about your vacation exchange destination. Hear what our members say about IVHE with luxury home swaps. 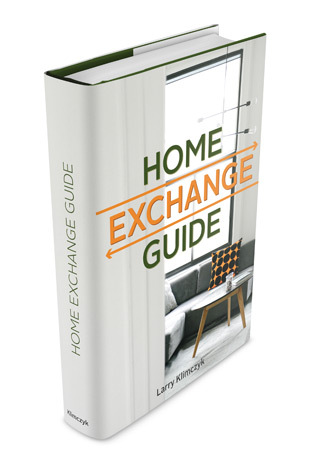 New to home exchange? Download a Free guide giving you valuable information, hints and tips on house exchanges or hear from our members. IVHE members have choices in over 70 countries, you can plan your next exclusive exchange vacation while benefiting with all the comforts of staying in a luxury house. Choose from tropical destinations, ski resorts, golf locations, and many more, the choice is yours. Get started! Unique to International Vacation Home Exchange (IVHE) is our Credits system, it gives our group of members additional flexibility in choosing their next house swap. When another member stays in your vacation home you earn credits. You can then use the earned credits to stay in any of the other properties around the world. See what our members say about IVHE. This removes the need to find another property to exchange with you at the same time and duration. You have the flexibility to choose when you want to travel and the size or type of property best for you. You can use a small amount of your credits for a short weekend city break in a studio apartment, or you might prefer to accumulate your credits for multiple bedrooms in a castle! Of course there are many options in between, the choice is yours. More on how IVHE club works for you and join now. New To Home Exchange? FREE Guide, download NOW. We at International Vacation Home Exchange, IVHE, take your security very seriously. We do not share your information with anyone without your consent. This website is protected by McAfee and is scanned for threats every day. As a member, your information is secure. Communication within groups and individuals is done by you and on your terms. We do not keep any payment details. We partner and link with a globally recognised secure payment system called WorldPay. They handle all transactions for you with options in dollars, pounds or euros. IVHE members also benefit from our unique 4 Star Exchange Verification. This gives you comfort in knowing that IVHE members are verified in a variety of areas. Each member can earn 4 stars by meeting additional criteria. The first is having a personal phone call. We talk with our club members to verify the facts. Second, we view personal identification like a passport, driver's license or national identity cards. Third is property verification by viewing a recent utility bill or equivalent, which matches the members' identity with the property. Finally, another star is gained once a member has exchanged or traded. Hear from our club members on their experiences with IVHE. All of the above provides you with added comfort, security and peace of mind. What would you do with another $5,000 to spend on your next vacation? Travel the globe with International Vacation Home Exchange (IVHE) and you can save money on your next vacation. Our members enjoy an average savings of $5,318 during a 2 weeks vacation. House Exchanging opens a whole new world of options for you to travel the world and live like a local. With IVHE's unique program you can choose to stay for short or long stays in cities and villages all over the world. Visit How It Works for more details. You have options of visiting exclusive large homes or small chic apartments. Our members' properties include an array of styles and choices including beach properties, ski chalets, game lodges and even yachts. Enjoy a vacation with all the conveniences and benefits of staying in a home. Travel Coordinators are available to arrange your luxury trades / exchanges and travel plans. You can Feel secure with our unique 4 Star Verification system. Home Swap and trade vacations with property owners just like you. Non-simultaneous house swaps give you more choices and flexibility when planning your vacation. Need more convincing? Listen to what our Home Exchange members say. Try us now - from only $13.25 per month (cancel any time). Why spend too much money for your vacations? Leverage your current home(s) and join IVHE to save thousands on travel accommodation. With IVHE you not only save money, you also have the choice of many types, sizes and locations of properties. Join IVHE today. Chicago is so big, its people so diverse, its things to see and do and taste and smell and hear so varied, it invites exploration by the truly adventurous. And one needs more than a weekend to do it. It’s the third largest city in the U.S. and ranks among world leaders in finance, commerce, and cultural institutions. More than 9.5 million people live in its metro area, otherwise known as Chicagoland. Chicago, by the inland sea that is Lake Michigan, has survived Indian attacks, a devastating fire, epidemics, riots, political corruption, bootlegger turf wars, and hard economic times. Chicago, city of the broad shoulders, has always bounced back and prospered. In 2013, the readers of “Conde Nast Traveler” chose Chicago as one of the "Top Ten Cities in the United States" to visit for its restaurants, skyscrapers, museums, and waterfront. Chicago has a vast number of excellent restaurants, many on Fodor’s and Zagat’s top-picks lists. They represent a global melting pot of flavors. But what foods do Chicagoans line up to get? -- deep-dish pizza, hot dogs with tomato and pickle in the garnish (no ketchup), and Garrett’s nutty caramel crisp popcorn. The waterfront is a treasured part of the Chicago scene. Eighteen miles of it – the Chicago Lakefront Trail -- is a path dedicated to walking and cycling. It connects beaches and points of interest along the path, one of the most popular being the Navy Pier. Navy Pier juts out from the shoreline for 3,300 feet. A top tourist attraction, Navy Pier offers theaters, museums, amusement-park rides (including a 148 ft. high Ferris wheel and a musical carousel), restaurants, and docks for boat rides and sightseeing cruises. Chicago has an abundance of green space. – over 7,300 acres of municipal park land. Of the 552 parks in the system, Lincoln Park, the largest, covers 1,200 acres and has over 20 million visitors annually. Millennium Park is one of the newer ones. It sits entirely on top of a railroad yard and parking garages and is considered the largest rooftop garden in the world. It is not only a green space, but also a showcase for art, theater, and music and dance performances. It has pavilions, plazas and promenades to add to a delightful visit. Many of Chicago’s museums and galleries are devoted to special interests, such as Chicago history, contemporary art, nature, broadcast communications, military, architecture, and science and industry. Ethnic museums feature Greek, Polish, Oriental, and African American subjects, to name a few. Other than the Louvre in Paris, The Art Institute of Chicago holds the most number of Impressionist paintings. The Field Museum is home to the largest, best preserved T-Rex fossil ever discovered, and a jewel collection with a 5,890-caret Chalmerz topaz. Excellent Chicago theater companies offer a variety of dramatic and performing arts productions, as well as Broadway-style entertainment and modern improvisational theater. And, of course, there is the world-renowned Chicago Symphony Orchestra. Music genres other than classical are alive and well – blues, soul, jazz, gospel, hip-hop, rock, new age – all part of Chicago’s cultural heritage. Night life swings in Chicago. The owners of your vacation-home-exchange condo call it, “A great place to enjoy a great city.” Check it out and you’ll agree. From it, you can walk to the lakefront, major museums, parks, and many cool bars and restaurants. Public transportation is nearby for easy access to the Navy Pier and other attractions. Stylishly modern, this condo has two comfortable bedrooms, each with a view of Lake Michigan. The floor plan is open and bright; all the home entertainment electronics -- plus I-Pod hook up and free wi-fi – are there. And the kitchen is fully equipped, ready for you to whip up your favorites or a batch of those Chicago-style hot dogs (you can do it on the sun deck BBQ grills, if you prefer). For more information on this wonderful condo in Chicago, click the property # link above. To learn more about the International Vacation Home Exchange, explore this site further at ABOUT US and HOW IT WORKS.